First there was the problem; the rain and that using umbrellas are forbidden on Shabbat. Then there was the solution; Avi’s Shabbat umbrella. Problem solved, or so one would think. This is where the problem really becomes a problem. Avi you see, has sought to gain Rabbinic approval for his invention and has taken the prototype of his umbrella to many influential Rabbis both in Israel and in America. The response has almost overwhelmingly been something along the lines of, “wow, you’ve cracked it” or “that would be perfectly suitable for use on Shabbat” and then is followed by the sadly inevitable BUT… The BUT is not made up of Halachic considerations per se but is resistance to changing the status quo, even though the majority of the Rabbis have admitted that it is within the bounds of normative Halacha. I wonder if the inventor of the Shabbat clock for example was met by similar resistance (imagine how people reacted to the idea of a light actually coming on on Shabbat!!) The BUT ultimately points to a Rabbinic leadership that is unwilling to embrace the start-up spirit that helps the Jewish people to thrive and to grow. It is a sad indictment of the direction that our Rabbinic leaders are taking when instead of applauding and encouraging further inspired engagement with Halachic observance, they are mired down by the weight of the BUT and of the status quo. This is not a call to make radical changes to the status quo itself but a call to change the attitude towards creative minds who seek to solve some of the challenges that Halachic observance poses to us. The example of the umbrella that was presented here was designed to solve a minor practical inconvenience. 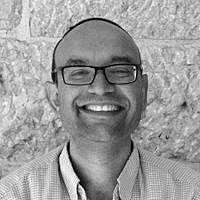 There are of course more serious dilemmas in the Jewish community today which need resolution within the parameters of Halacha, and I hope and pray that our Rabbinic leadership will come to embrace the abundant positive qualities of the start-up nation as they confront the problems which our community faces today.